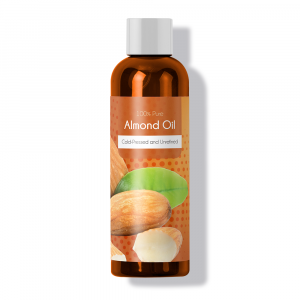 Home | Natural Ingredients | Almond Oil Health Benefits: Too Many To Count! 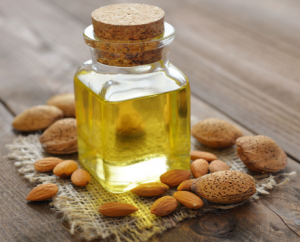 Almond Oil Health Benefits: Too Many To Count! 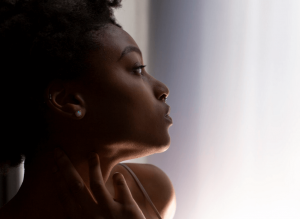 Can Almond Oil Be Used For Hair Growth? What Is Organic Sweet Almond Oil? Almonds, in their natural form are healthy, delicious and nutritious. They are a rich source of Vitamins E, B, D, K, calcium, iron, magnesium, manganese, phosphorus, zinc, thiamin, Vitamin B6, folate, choline and potassium. That’s a mouthful, but I hope it proves our point – these things are amazing! Traditionally, almonds generally occur in the Middle East, North Africa and the Indian Sub-continents. It is thought that they were one of, if not the earliest domesticated trees in human agriculture. Throughout history, almonds have been part of many cultures’ diets for a variety of reasons. In ancient Greek culture, they were crushed and used as the base for sweet desserts generally served at weddings. In Iranian culture they are used to prepare a special food for babies known as harire badam. In Indian culture, they’re used to form the base of cooling summer-time drinks known as sherbet-a-badaam. Almond oil has also been used as a natural toothpaste for centuries. Needless to say, almonds have been a part society for a very long time and will be for a lot longer. More recently, scientists have found use for almond oil as a possible biodiesel fuel and even as an effective antidote for ALP (Aluminum Phosphide) poisoning – a common pesticide in many developing countries. Almond oil can be made from sweet or bitter almonds – however, it is important for me to stress that you should almost always stay away from bitter almonds. Any almonds sold in the US (as per the ‘FDA’ or Food and Drug Administration) are of the ‘sweet’ variety, as these are considered safe to consume. Bitter almonds, aside from tasting, well, bitter can also be lethal. Yes, you read that correctly – lethal. They contain roughly 42 times more cyanide (the stuff bond villains use) than sweet almonds. Bitter almonds were never used for culinary purposes – except the bitter almonds from apricots (a different genus) in Italian cuisine for amaretti (almond macaroons), but these are non-lethal. Bitter almonds do contain 50% more oil than sweet almonds, but that’s only if you’re looking to do some dastardly deeds with the finished product. Almond oil as you and I know it (of the ‘sweet’ variety) is completely safe for consumption and is incredibly good for your body, inside and out. 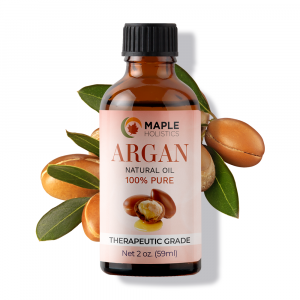 It contains 261% of the daily 100 ml dosage of Vitamin E which, in controlled doses, is good for your cardiovascular system and acts as a strong anti-oxidant. Almond oil also has a high monounsaturated oleic acid content (32%), which is essentially rich in omega 9 – good for heart health, balanced cholesterol levels, strengthening hair and strengthening your immune system. Almond oil is also an incredibly helpful ingredient to use when trying to lose weight, as it speeds up your metabolism and can also be used to ease constipation. Almond oil promotes healthy hair. The high Vitamin E content of almond oil is very good for your hair and scalp. In fact, most major shampoo or hair-care product makers often add almond oil to their products because of the moisturizing and conditioning effects that the oil has on one’s hair and scalp as well as stimulating hair growth. The beauty of using almond oil in it’s natural state is that it has no additional side-effects and there is no risk of drying your hair out. 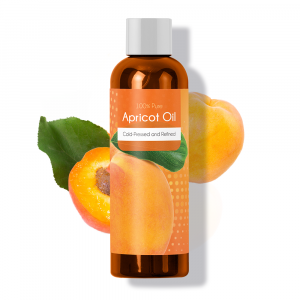 In its natural state, the oil will leave your hair shinier, well-conditioned and soft. Almond oil can also be used in conjunction with tea-tree oil as a natural anti-dandruff treatment, leaving your scalp moisturized, clean and smelling great. Almond oil also relaxes your cuticles and by massaging your head on a daily basis with both almond and lavender oil, you can prevent, or lessen hair loss. Almond oil can also be used to repair damaged or split ends in dry hair and can also act as a natural anti-inflammatory treatment with regards to scalp inflammation. This is a tricky subject, and not one I can offer simple yes or no answer to. Basically, almond oil (in it’s natural form) is a rich source of protein – specifically in terms of Omega 9. 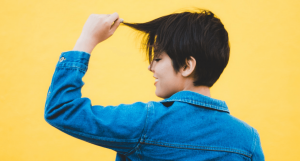 The hypothesis here is that because one’s hair is predominantly made out of protein, the massaging of almond oil into one’s scalp should encourage or stimulate the natural growth process of the hair follicles, thus leading to a fuller head of hair. However, we generally recommend this product for the prevention or slowing of hair-loss as, frankly, that’s a more realistic outcome for the oil. The high protein content will stimulate the follicles and the added protein will lend itself to slowing the rate of hair-loss. Almond oil promotes healthy skin. This is arguably one of the most beneficial areas that almond oil lends itself to. It can be used to treat a number of ailments, it has restorative qualities, renew and nourish your skin without risk of side-effects, and it has a delightful natural odor. The main reason for this is because of it’s high Vitamin E, A and B content which seals the moisture in your skin it moisturized but also allows for absorption – which means that your pores won’t get blocked. It’s important to note that when using almond oil for treatment on your skin, you should always heat the oil to body temperature for easier absorption. Almond oil can also be used as a way to loosen and remove dead skin cells. By crushing about 4-5 grams of raw almonds, mixing them with a teaspoon of almond oil, a few drops of lemon juice a teaspoon of milk and a gram of flour you can create a paste that can be applied to your face and washed off in 30 minutes taking with it, the impurities and dead skin cells. Almond oil is also a terrific natural treatment for psoriasis and eczema. It can be used as a natural moisturizer that penetrates the skin and locks in moisture, soothing the irritated area and allowing your skin to heal naturally. 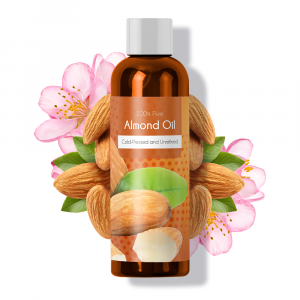 Almond oil is commonly used in physical therapy and aromatherapy as a massage oil. By rubbing the oil into your hands and feet it will act as a replacement for cream and the pleasant scent is very calming and can be used to help one de-stress. 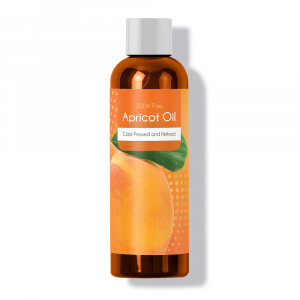 Natural almond oil can also be used as a makeup remover and can be used to help combat wrinkles and stretch marks. By stimulating the cells in your skin, it helps to combat the aging process by promoting skin tightness and increasing blood circulation. 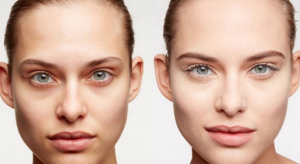 Why do we get dark circles under our eyes? The reason for this has a lot to do with the fact that the skin in that area is generally a lot thinner than most areas on our faces. It tends to lose moisture easily because of this and the blood vessels underneath begin to show. This, in addition to vitamin deficiencies, overexposure to sun, lack of sleep or illness lead to those dark circles. Simply wash your face before going to sleep with warm water and dry gently. motion to the affected area. In order to increase the effects of the treatment, be sure to eat 10 almonds a day. Sweet almond oil is essentially oil that is pressed from the inner nut of of the dried and ‘shelled’ almond tree fruit known as a Drupe. The inner shell is cut out of the Drupe and cracked open to reveal the almond nut inside. To produce the oil, the almond nuts are pushed into an industrial press which crushes them under high pressure thus releasing the oil of the nut and leaves behind an paste which can be used in baking or cooking. The oil itself can be used for either consumption or externally as a moisturizer on ones skin and can even be used to treat certain wooden products. Organic, sweet almond oil is essentially oil that is pressed from organically sourced almond trees of the Prunus Dulcis genus or variety. Sweet almonds are almonds that are considered safe for consumption and the oil of these is the most commonly found. It is safe for both consumption and external use such as a massage lotion or replacement hand cream etc. Technically speaking, the term ‘organic’ is relative to the area or country you are in, but generally means that a farm is required to meet the terms stipulated by the government of that country that defines what it means to be organic. Generally this denotes a farms that recycles resources, promotes an ecological balance with its surrounding area and aims to conserve biodiversity. Be sure to read up on some other great oils like Castor, Tea Tree, and Avocado while you’re here at Maple Holistics! Basically, we’re nuts about almonds! 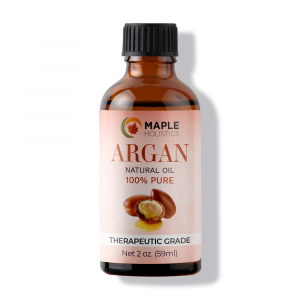 As a food source and as a natural product, this stuff has been a part of human life for centuries and will continue to shape and revolutionize the way we look at natural treatments and solutions in the coming years. Renewable resources are really the way forward for us as a species and finding ways to cultivate and utilize them in as many ways as we can will be a key defining factor in our progress on the Earth. Almonds! They’re tasty, healthy, helpful and cost-effective and you should definitely make them a part of your daily life.